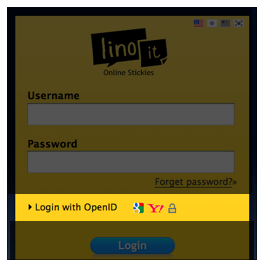 Attach files to lino stickies and you can view the same file both at home and office. 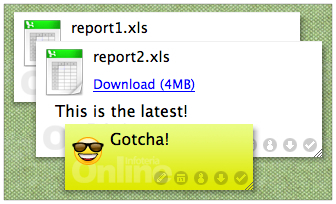 You can share the files with your family, friends, and colleagues. Free membership allows up to 10MB of file attachment to a single sticky. The maximum total file size that can be saved in a month is 100MB, and you can download a maximum of 10 attachment files from other users’ stickies in a month. 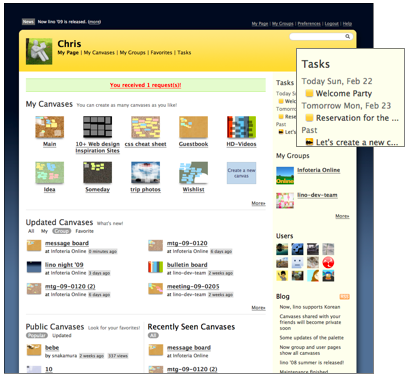 With a glance, get the update status of My Canvas and Group Canvases. Check the due dates on your schedule in a glance. You can now search the text of the stickies by keywords. You’ll get a visual search result! My Canvases, My Favorites, and Group Canvases can now be switched from one to the other. The stickies can be moved or copied by dragging and dropping into the canvas thumbnails on Dock. Advanced features available for lino Premium! 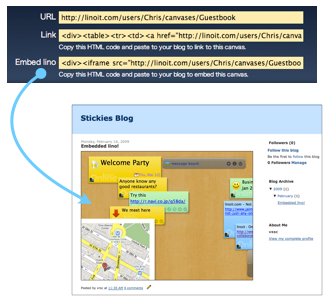 Just copy and paste the HTML and you can embed lino in your blog page! Ten times more background templates for canvases increases the fun. 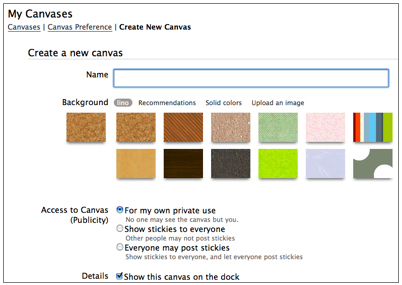 By using a different color for each canvas, you can find the canvas you want right away. You can now log in to lino using your Google account information.